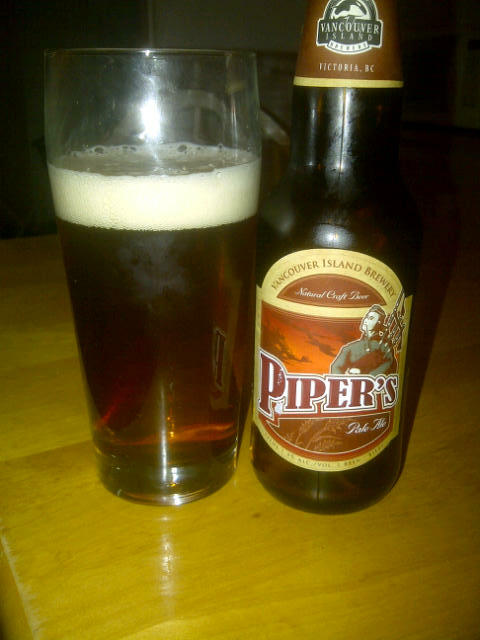 From Victoria’s Vancouver Island Brewery comes their “Piper’s Pale Ale”. This pale ale pours a coppery colour with a slightly off white head. The smell of the pale ale is of malt, caramel an overall sweetness and a tiny bit of hops. The flavor is of bready, sweet malts and some mild but noticeable hops. 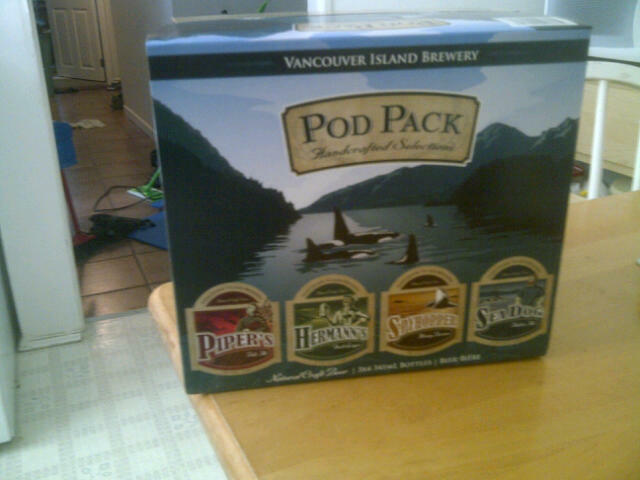 This is a great tasting but light pale ale that comes in at an alcohol content of 5%. 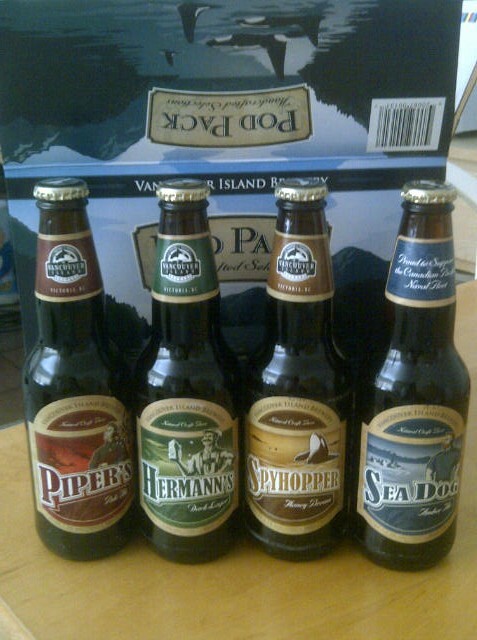 This entry was posted in Pale Ale and tagged bc, beer, canada, malt, malty, mild hops, pale ale, vancouver island, victoria.